Leave your evening gown at home and pack your hiking shoes instead. For more and more travelers, an expedition cruise is on the horizon. 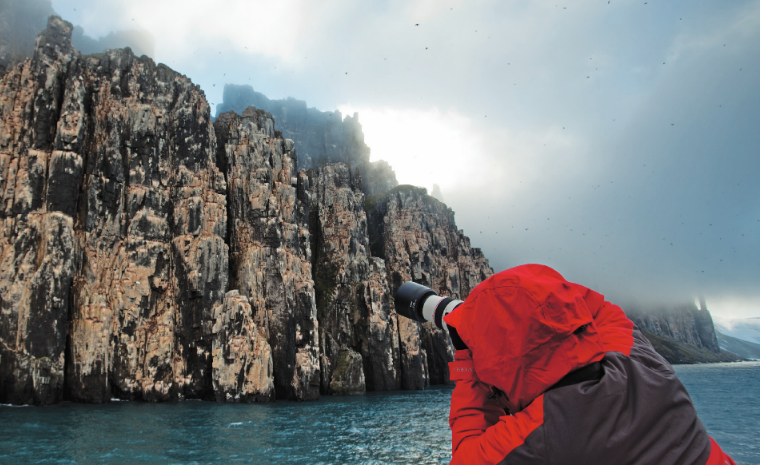 Expedition cruises speak to our inner adventurers. Smaller ships, more remote and tiny ports, untouched destinations, natural beauty, deep cultural interaction. They're perfect for travelers who want to explore the world's natural wonders and the most distant reaches of the planet in an active way: out of a zodiac, in a kayak, hiking to the tops of peaks, gazing in awe at human masterpieces and photographing rare creatures. Instead of a cruise director and onboard entertainment team, expedition cruises have teams of experts in the nature, science and human experience of the region. In early days, paying guests joined teams of working researchers in 'roughing it' conditions. Nowadays, expedition cruising is much more comfortable, but still ranges from a basic onboard experience where you can wear cargo pants all day, all the way to luxury expedition cruising, where you enjoy the finest hospitality, cuisine and service onboard in a relaxed atmosphere, and once-in-a-lifetime adventures on shore. Whatever your cruising style, if active, in-depth exploration of destinations less-traveled is what piques your travel imagination, expedition cruising is for you. BestTripTV's Lynn Elmhirst shares her favorite developments that make this the best year yet to book that expedition cruise of your dreams. 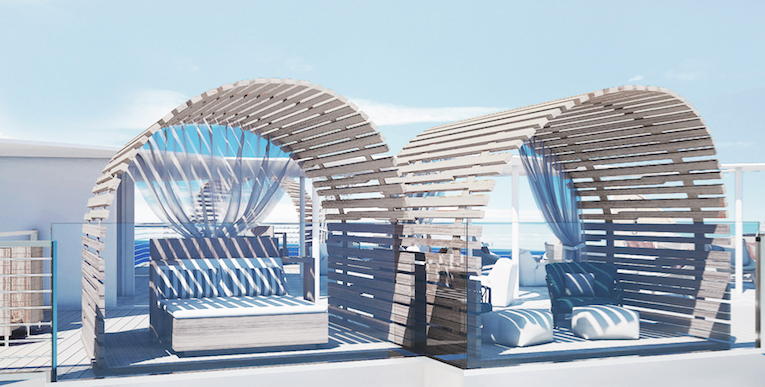 Spring 2019 marks the debut of the Celebrity Flora (pictured, top), bringing the total number of the cruise line's 'modern luxury' ships devoted to sailing expeditions of the legendary Galapagos Islands up to 4. Celebrity Cruises has been sailing expedition cruises in the Galapagos for over a dozen years, and their destination expertise means they understand everyone's dream experience of the Galapagos is different, and the Celebrity Flora is the perfect vessel for the modern explorer. The 100-guest Celebrity Flora's mega-yacht sleek curves are breathtaking. Her design is intended to immerse, not separate guests from this bucket-list destination. It's an all-inclusive experience where every stateroom is a suite, dining is curated by a Michelin-starred chef, and they even offer a 'Glamping' experience where guests can sleep one night under the Galapagos' magnificent stars in a cabana, with campfire themed dinner, cocktails, star gazing and private breakfast served in the morning of one of the most memorable nights of your life. 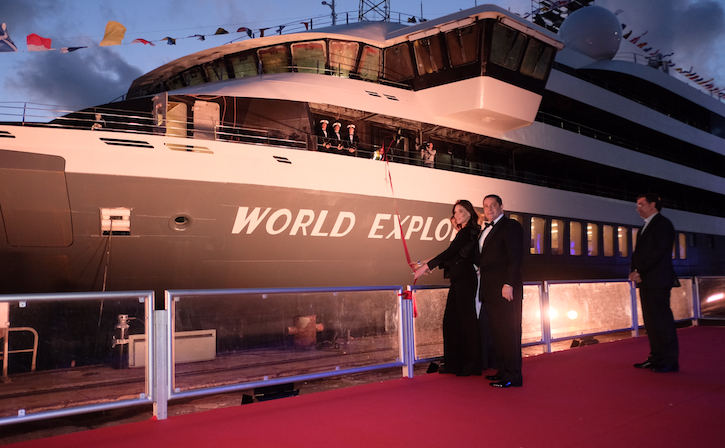 A new expedition cruise company has launched with the spring 2019 christening of 200-guest luxury ship, World Explorer, by singer/songwriter and former French First Lady Carla Bruni-Sarkozy in Portugal. Mystic Cruises joins the small 'club' of five-star cruise lines with ice class ships and advanced technology able to navigate rivers, iceberg fields including Antarctica, Northern Europe, Iceland and Greenland. It's the first ocean cruise ship for this hospitality company that already provides river cruises, hotels and resorts, museums and helicopter tours. The World Explorer is chartered by Quark Expeditions for breathtaking Antarctica sailings in winter 2019-2020. 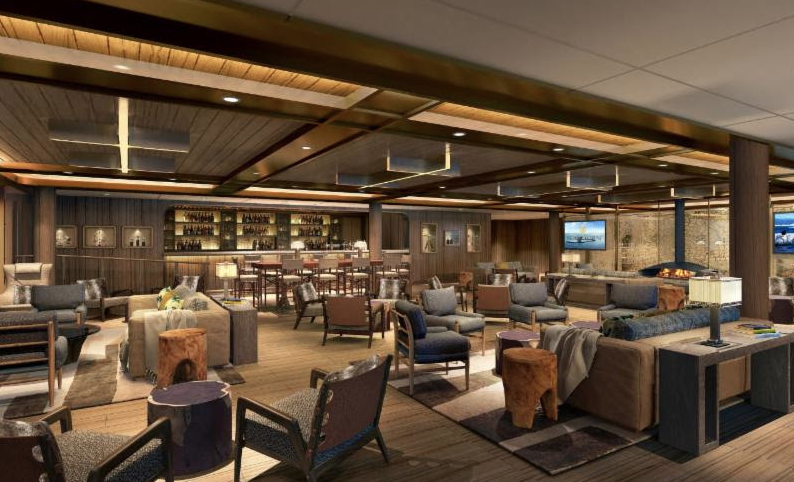 Mystic Cruises adds two more ships in the next two years, so you'll be seeing and hearing more about this new entry into the luxury expedition cruise space. Ultra-luxury cruise line Seabourn is no stranger to expedition cruising, but this is its first purpose-built expedition ship. The 260-guest Seabourn Venture sails in June 2021 for an inaugural season in the Arctic, then a summer season in Antarctica. With polar class engineering and advanced technology, the Seabourn Venture also includes the exceptional design, service and destination-unique experiences Seabourn guests have come to expect from the official cruise partner of UNESCO. Design icon Adam Thihany, who has designed other boutique-hotel-like Seabourn ship spaces, lends his touch and taste to the Seabourn Venture's interiors as well. The ship will carry two custom-built submarines, zodiacs and kayaks to launch from the ship's marina, for guests to step seamlessly from Seabourn luxury to be immersed into the natural wonders around the ship. Seabourn has been sailing expedition cruises to the Antarctic since 2013, which led to the Ventures by Seabourn program featuring outdoor adventures in zodiacs, kayaks, hikes and other ways of exploring the natural wonders of Seabourn destinations around the world. The Ventures by Seabourn program inspired the name of the line's first purpose-built expedition ship. 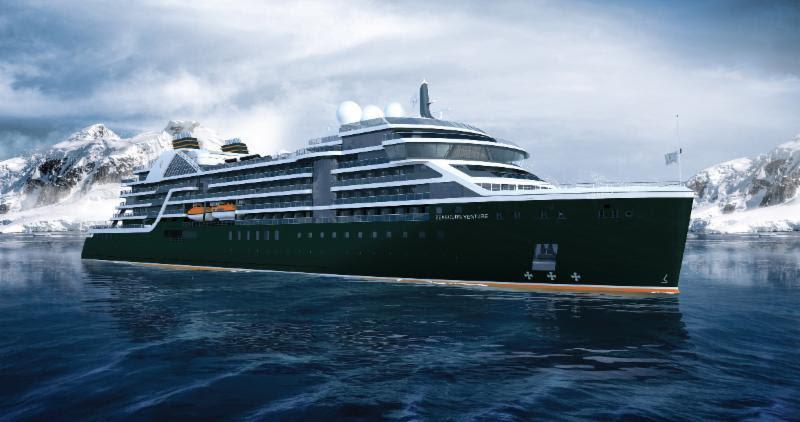 The Seabourn Venture is being joined by a sister ship in 2022. It's the first-ever Expedition World Cruise. 250 guests make expedition cruise history in January 2021, setting sail on the Silver Cloud from Ushuaia at the southern most point of South America, south to Antarctica, up the West coast of South America, making a trans-Pacific crossing via Easter Island and Tahiti to Australia, then sailing to South-East Asia, southern India, the Gulf States, Egypt and the Suez Canal to the Mediterranean, then the UK and the North Sea to Iceland, before finally arriving in Tromso, in Norway's far north, in July. That's 167 days. 6 continents. 30 countries. And 107 incredible Destinations. It's a 5 ½ month journey of a lifetime, in Silversea's signature ultra-luxury style, enhanced by the expertise of over a dozen feature lecturers including a Garden Designer, Anthropologist, Archeologist, Film-Maker, Explorer, Astronomer, RGS Member and others. In 2020, Silversea adds another expedition ship to its fleet, this one destination-specific, for Galapagos. The Silver Origin includes Silversea's signature butler service and all-suite accommodation, and adds Ecuadorian expert guides as well as locally-inspired cuisine for a true destination experience. The only French cruise line, Ponant is a world leader in luxury expeditions. Its fleet has expanded with the arrival of Le Bougainville. 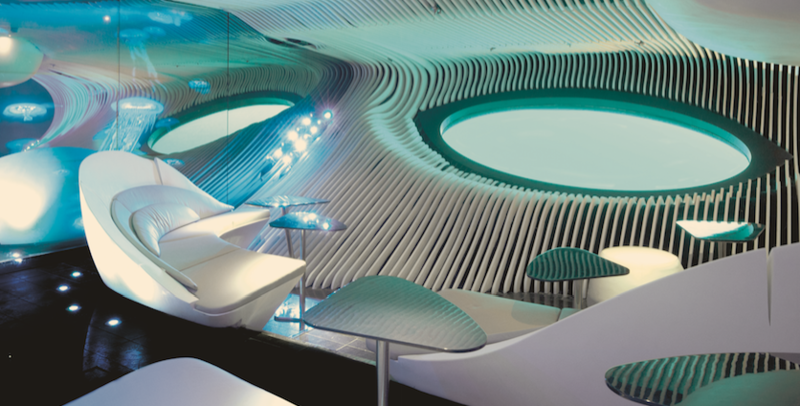 The 3rd ship in the Ponant Explorers series features the incredible, world's-first 'Blue Eye' lounge, an underwater 'salon' with two portholes that resemble a marine mammal's eye. There are even hydrophones to hear the undersea world. The sleek, elegant design and luxury hotel service are unmistakably French, so Le Bougainville's 200 guests can live the French version of the good life while exploring the Mediterranean in its inaugural season, followed by the Seychelles, Mahe, the Indian Ocean, the Vanilla Islands and everywhere in the world Ponant sails its signature expedition cruises. 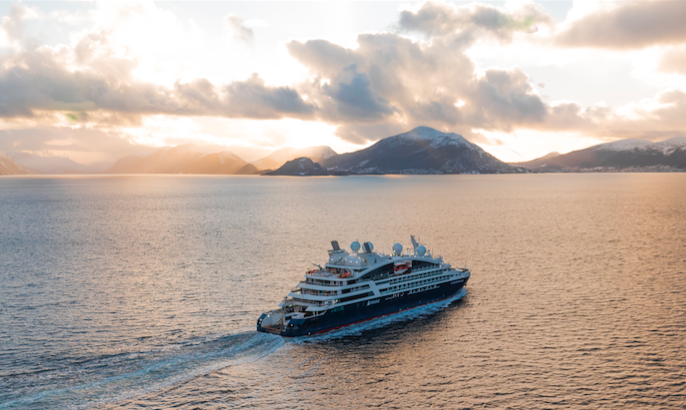 4 more new ships join the Ponant fleet by 2021.